American Craft Week is happening October 7-16 and people across the country are celebrating in various ways. The studio that I work in, The Potters Shop and School in Needham, is celebrating with a gallery event on Friday, October 14 from 6-9pm. The display will have work from studio staff, members, summer interns, and students. Because there are so many potters submitting work for the event there is a huge range of work styles, techniques, and price points. It's a great opportunity to see what some local artists are up to and to support what they are doing. 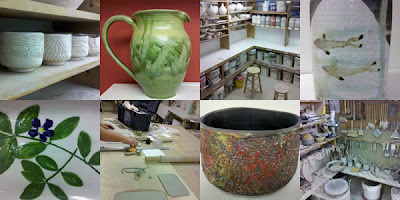 The studio is located inside Gorse Mill Studios at 31 Thorpe Road in Needham, Massachusetts. I hope you can come by!